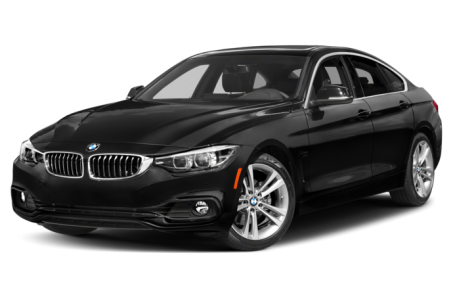 The 2019 BMW 430 Gran Coupe is the five-door liftback version of the regular 4 Series. Maximum cargo space is 45.9 cubic feet with the 40/20/40-split folding rear seat folded down. Both the 430 and 440 Gran Coupe have two trims are available: the base model and xDrive. The 430 Gran Coupe is powered by the 248-hp, turbocharged 2.0-liter four-cylinder engine, while a more powerful 320-hp, twin-turbocharged six-cylinder is contained for the 440 Gran Coupe. Both engines are mated to a standard eight-speed sport automatic transmission and rear-wheel drive. All-wheel drive (xDrive) is also optional.